As blockchain gaming edges closer to mainstream adoption, improving the usability of this technology is of increasing importance. By joining the Foundation for Interwallet Operability, we aim to do just that. 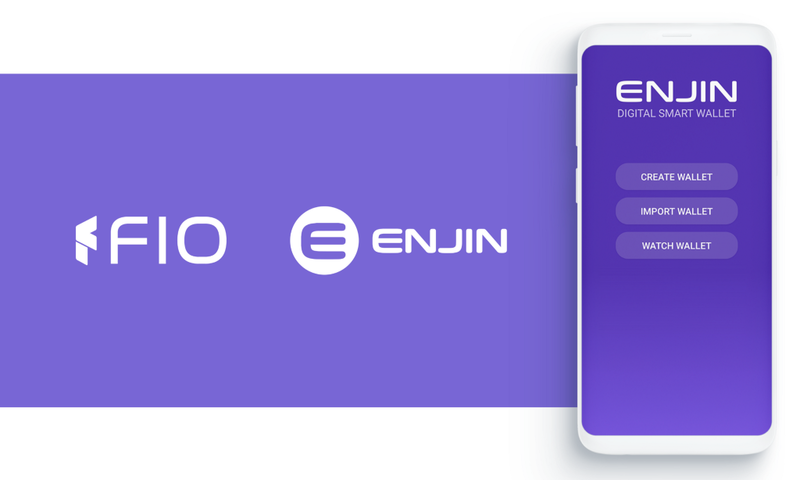 Download the Enjin Wallet today. With the launch of the Enjin Platform and our Blockchain SDK for Unity last month, blockchain gaming took a major step toward mainstream adoption. And with every step we take in that direction, usability becomes of increasing importance. We’ve demonstrated our commitment to usability and accessibility time and time again, from our ad-free, user-friendly explorer to our platform enabling devs to create blockchain games without writing any blockchain-related code. Now, in our continued effort to make using blockchain technology as simple and easy as possible, we are excited to join the Foundation for Interwallet Operability (FIO) and integrate the FIO Protocol with the Enjin Wallet to further advance its seamless, intuitive user experience. FIO is a consortium of leading blockchain wallets, exchanges, and payment providers that seek to accelerate adoption by reducing the risk, complexity, and inconvenience of sending and receiving crypto assets. FIO is developing the FIO Protocol, a decentralized open-source blockchain protocol that will enable greatly enhanced user experience for FIO-enabled wallets, exchanges, and applications—including the Enjin Wallet. Our collaboration with FIO will allow for easier navigation and transfer of tokens between wallets, players, and the Enjin Blockchain Gaming Multiverse.